for Young Moderns: FYM PREVIEW: THE GASLIGHT ANTHEM, FAKE PROBLEMS, SEATTLE! FYM PREVIEW: THE GASLIGHT ANTHEM, FAKE PROBLEMS, SEATTLE! 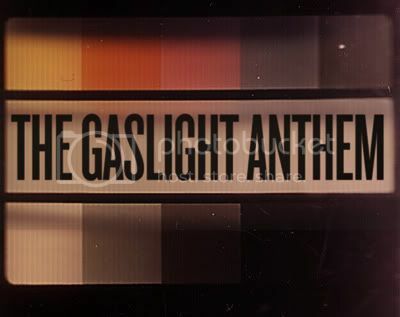 The Gaslight Anthem's Jersey approved brand of honest working class punk rock n' roll, will be on display September 13th, 2010 at the Shoxbox SODO in Seattle Washington, USA. They have a dedicated group of fans in every city they play, so buy tickets asap, as it's sure to sellout! FYM favorite, The 59' Sound is the perfect sonic illustration of how these guys can paint pictures through introspective chorus, carrying with them a "Stay Golden Pony Boy" attitude. Also, be sure not to miss Gaslight Anthem label-mates Fake Problems, as they are currently on tour together. Featuring dirt in your wound lead vocals, and memorable sing-along melodies, The Dream Team exemplifies what a solid tag-team of punk rock n' roll The Gaslight Anthem and Fake Problems will be 9.13.10 at the Showbox SODO in Seattle!